This was my first car that I bought in college some 15 years ago. 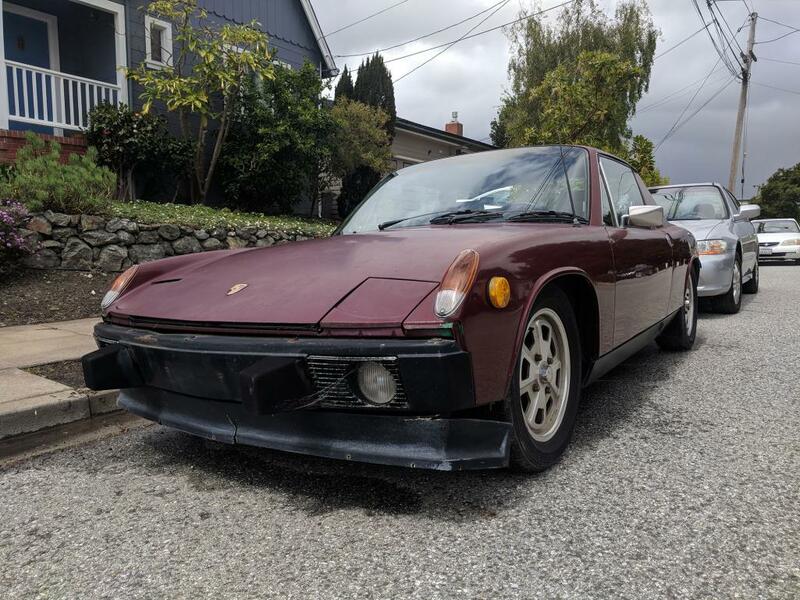 It's definitely a project, but it's been loved dearly. It has a bit of rust in the normal spots: battery pan, windshield wiper, door handle. But, seems structurally sound. Starts and drives fine (slightly high idle when warm). Rear brakes need to be rebuilt. Hand brake doesn't hold car so this needs adjustment. Engine was rebuilt by previous owner. Transmission is original. 2nd gear synchro worn, but you can coax it in. Gas tank was resurfaced a few years ago. Paint is not in good condition - cheaply done before I bought the car. 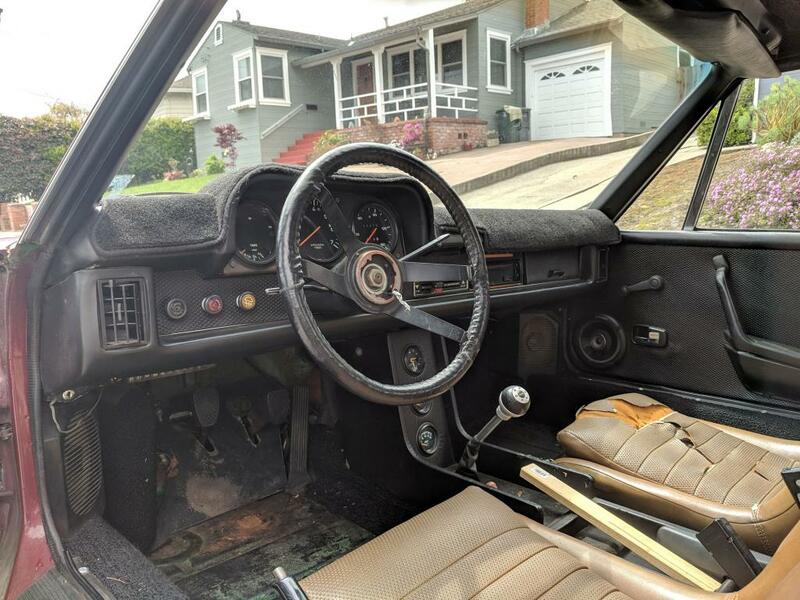 Interior is ok, but mostly original. Passenger seat is torn. I believe I'm the third owner, but it's always been in California. Original color was Zambezi Green (you can still find remnants). 5 early Fuch wheels - 1 is in the hood. Asking $5000. I'm in San Bruno, California. Please let me know if you have any questions. Would love to sell to someone who will restore it like it should be. 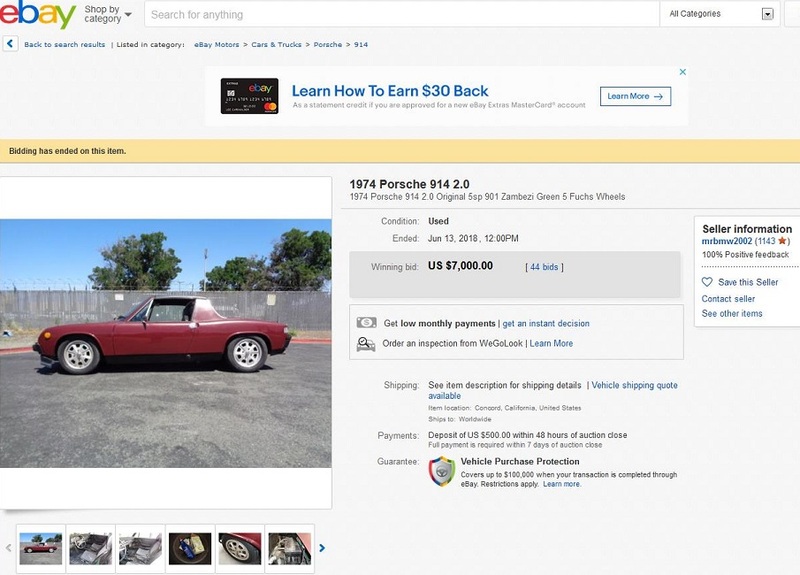 Need more pictures of the trouble spots regarding rust, but still, at $5K it should sell quickly. Good luck! Hello Andrew, intrested, will send you pm, with some questions. Great deal. Get there before Mr Flipper shows up and jacks it on eBay. 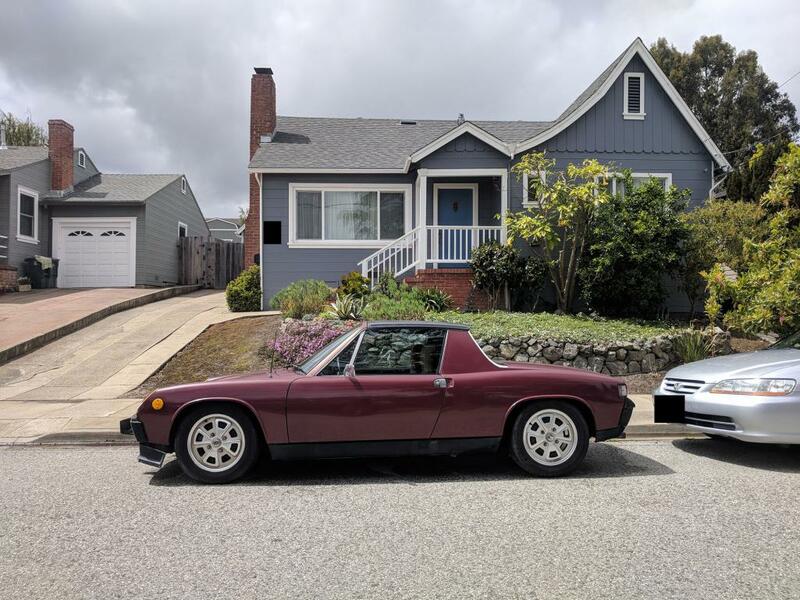 I sent a PM and email to the guy in Norcal looking for a 914, no response. Thanks Mueller I got your message a few hours ago...and thank you for letting me know! I will PM him...thanks. Andrew , received your PM, just waiting for reply so we can close it. Thanks for all the interest, the car has been sold. Did anyone from here buy it? Cool, I didn't want details just curious if it was a world member or someone from craigs. Looks like he got there first.